Our research focuses on medical devices, particularly applications of advanced signal processing, machine learning and physiological modelling to develop affordable and reliable healthcare technologies, towards saving lives and reducing healthcare costs. Aiming to minimise the current and future burden of diseases, our research is applied in cardiovascular and respiratory health, maternal, foetal and neonatal health, diabetes, mental health, prevention of road accidents and MORE! A list of available final year projects (FYP) can be found here (internal access only). We have a vibrant research team of undergraduate and post graduate students, interns and research assistants. 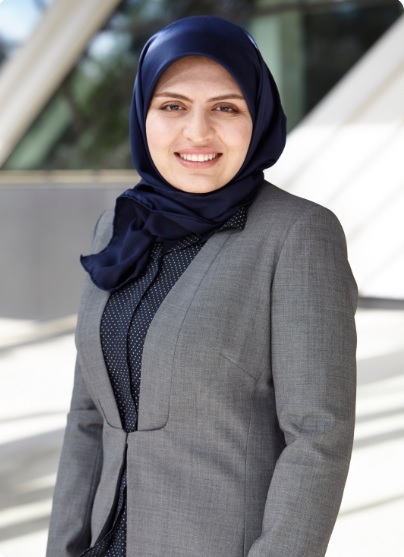 Dr Faezeh Marzbanrad joined Monash University in June 2016, after completing her Ph.D. in electrical and electronic engineering at the University of Melbourne, with IPRS and APA scholarships funded by the Australian Government. During her PhD and afterwards, she received several awards including the Len Stevens scholarship from University of Melbourne in 2014, student paper award from IEEE Australia council in 2014, and the finalist award of the student paper competition at IEEE Engineering in Medicine and Biology Conference (EMBC 2014) in Chicago, IL, USA. She also received Mortara fellowship in September 2017 and honorable mention for Rosanna Degani Young Investigator Award in both 2015 and 2016, from Computing in Cardiology. Her research interests include biomedical signal processing, machine learning and statistical data analysis, low-cost medical devices, mobile-health as well as foetal, maternal and neonatal healthcare technologies. 1- Fatema-Tuz Zohra (2018 to present), "A mobile-health system for automated pulmonary disease screening and diagnosis". 2- Yunzhi Ling (2016 to present), "A flexible, transparent and multiple stimuli electronic skin consisting of nanopaper and nanocopper for physiological monitoing". 1- Wenqi Cai (2017), "Automated diagnosis of digital breath sounds". 15+ FYP students have been working in this research group on various projects, including smart wearable devices for physiological monitoring, drowsiness detection devices, interactive virtual reality-based systems and affordable mobile-health systems for cardiovascular and mental health, etc. 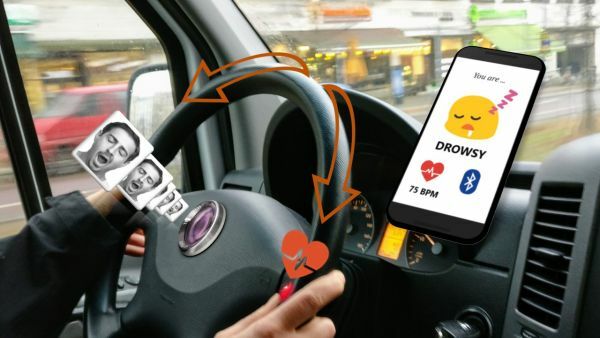 Sasha Jain and Merry Le won the runner-up award at SPARK Night 2017 for their outstanding work: "DriveMate: A drowsiness detection and alert system for drivers"..
1- Mathieu Acchiardi (Jun-Sep 2018), ENSEIRB-MATMECA, France, "Automated assessment of neonatal breath sound". 2- Benjamin Wu (Nov 2017- Feb 2018), summer research intern, Monash University. Benjamin received People's Choice Award at the faculty-wide competition, for his outstanding work and presentation: "Touching the Sound: Sensory Substitution Rings for the Hearing Impaired". 3- Negin Yaghmaei (Jul-Sep 2017), Sharif University of Technology, Iran, "Automated Quality Assessment of Physiological Signals". 4- Matthieu Da Silva Filarder (Feb-Jul 2017), ENSEIRB-MATMECA, France, "Detecting Atrial Fibrillation from a Short Single Lead ECG Recording". F. Marzbanrad, Y. Kimura, M. Palaniswami, et al., ”Fetal Heart Rate Variability”. ECG Time Series Variability Analysis: Engineering and Medicine, 18, CRC Press, ISBN 9781482243475, 2017. N. Yaghmaie, M. A. Maddah-Ali, H. Jelinek and F. Marzbanrad, "Dynamic Signal Quality Index for Electrocardiograms" Physiological measurement (2018). F. Marzbanrad, L. Stroux, and G. D. Clifford. "Cardiotocography and beyond: a review of one-dimensional Doppler ultrasound application in fetal monitoring." Physiological measurement 39.8 (2018): 08TR01. A. H. Khandoker, F. Marzbanrad, and Y. Kimura. 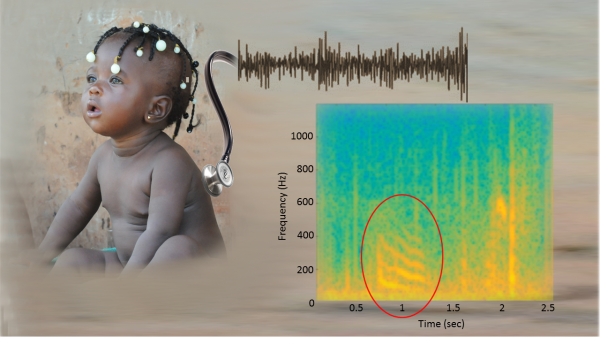 "Recent Advances in Doppler Signal Processing and Modelling Techniques for Fetal Monitoring." Frontiers in Physiology 9 (2018): 691. C. V. Cuadros, F. Marzbanrad, L. Stroux, et al., “Template-based Quality Assessment of the Doppler Ultrasound Signal for Fetal Monitoring”, Frontiers in Physiology , 8: 511, 2017. F. Marzbanrad, A. H. Khandoker, Y. Kimura, et al., “Assessment of Fetal Development Using Cardiac Valve Intervals”, Frontiers in Physiology, 8:313, 2017. F. Marzbanrad, A. Khandoker, B. Hambly, et al., “Methodological comparisons of heart rate variability analysis in genotyped diabetic patients”, IEEE Journal of Biomedical and Health Informatics, vol.20, no.1, pp.55-63, 2016. A. Khandoker, F. Marzbanrad; A. Voss, et al., “Analysis of Maternal-Fetal Heart Rate Coupling Directions with Partial Directed Coherence”. Journal of Biomedical Signal Processing and Control, 30, pp. 25-30, 2016. 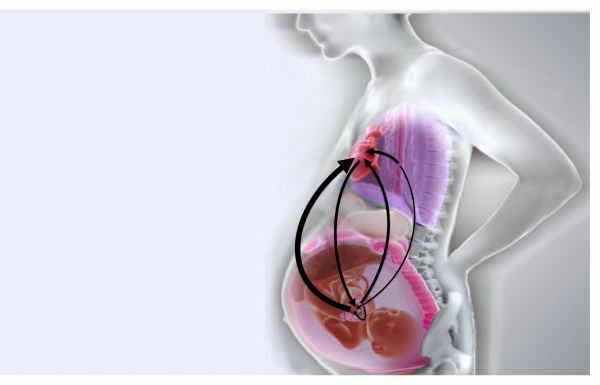 F. Marzbanrad, Y. Kimura, M. Palaniswami, et al., “Quantifying the Interactions between Maternal and Fetal Heart Rates by Transfer Entropy”. PLoS One, 10.12, 2015. 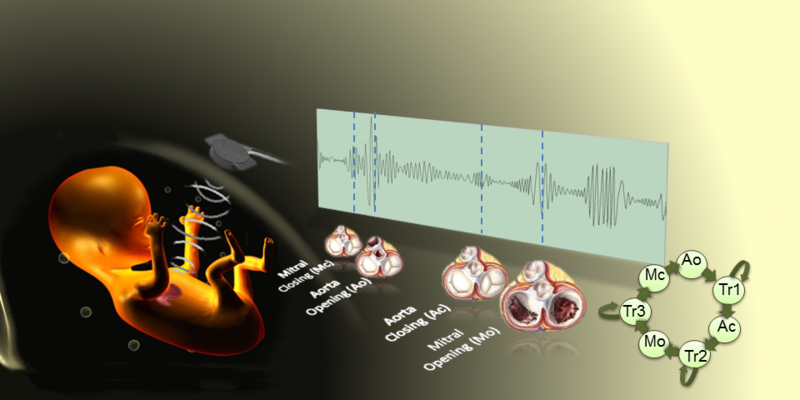 F. Marzbanrad, Y. Kimura, K. Funamoto, et al., “Model based Estimation of Aortic and Mitral valves Opening and Closing Timings in Developing Human Fetuses”. IEEE Journal of Biomedical and Health Informatics, vol.20, no.1, pp.240-248, 2014. CE. Valderrama, F. Marzbanrad, L. Stroux, et al., "Improving the Quality of Point of Care Diagnostics with Real-Time Machine Learning in Low Literacy LMIC Settings", ACM SIGCAS Conference on Computing and Sustainable Societies (COMPASS), 2018. F. Marzbanrad, G. Clifford, “Analyzing Fetal and Maternal Cardiorespiratory Interactions During Labor”, Computing in Cardiology Conference (CinC), 2017. R. Whitsed, A. Horta, F. Marzbanrad, et al., “Spatial Characterization of Hypertension Clusters using a Rural Australian Clinical Database”, Computing in Cardiology Conference (CinC), 2017. R. Allami, A. Stranieri, HF. Jelinek, F. Marzbanrad, et al., “Atrial Fibrillation Analysis for Real Time Patient Monitoring”, Computing in Cardiology Conference (CinC), 2017. M. Da Silva--Filarder, F. Marzbanrad, “Combining Template-based and Feature-based Classification to Detect Atrial Fibrillation from a Short Single Lead ECG Recording”, Computing in Cardiology (CinC ), 2017. S. Maleki, F. Marzbanrad, P. Warner and HF. Jelinek, "Use of Heart Rate Variability Infographics in Identification of Depression Status Complementing the Patient Health Questionnaire-9", IEEE Life Sciences Conference (LSC), 2017. F. Marzbanrad, C. Karmakar, A. Khandoker, et al., “The Influence of Pharmacological Autonomic Blockades on Multi-Scale Measures of Heart Rate Variability”. European Medical and Biological Engineering Conference (EMBEC), 2017. A. Khandoker, H. Alangari, F. Marzbanrad, et al., “Investigating fetal myocardial function in heart anomalies by Doppler myocardial performance indices”. IEEE Engineering in Medicine and Biology Society Conference (EMBC), 2017. F. Marzbanrad, A. H. Khandoker, Y. Kimura, et al., ”Estimating Fetal Gestational Age Using Cardiac Valve Intervals”. Computing in Cardiology Conference (CinC), 11-14 Sep 2016. A. H. Khandoker, F. Marzbanrad, Y. Kimura, et al., ”Assessing the development of fetal myocardial function by a novel Doppler myocardial performance index”. IEEE Engineering in Medicine and Biology Society Conference (EMBC), 2016. F. Marzbanrad, M. Endo, Y. Kimura, et al., “Transfer Entropy Analysis of Maternal and Fetal Heart Rate Coupling”, IEEE Engineering in Medicine and Biology Conference EMBC 2015. F. Marzbanrad, A. Khandoker, et al., “Classification of Doppler Ultrasound Signal Quality for the Application of Fetal Valve Motion Identification”, Computing in Cardiology (CinC), 2015. F. Marzbanrad, A. Khandoker, M. Endo, et al., “A Multi-dimensional Hidden Markov Model Approach to Automated Identification of Fetal Cardiac Valve Motion”, IEEE Engineering in Medicine and Biology Conference EMBC 2014, pp.1885-1888. F. Marzbanrad, Y. Kimura, M. Endo, et al., “Automated measurement of fetal Isovolumic Contraction Time from Doppler ultrasound signal without using fetal electrocardiography”, Computing in Cardiology Conference (CinC), 2014 , vol., no., pp.485-488, 2014. F. Marzbanrad, B. Hambly, E. Ng, et al., “Relationship Between Heart Rate Variability and Angiotensinogen Gene Polymorphism in Diabetic and control individuals”, IEEE Engineering in Medicine and Biology Conference EMBC 2014, pp. 6683-6686. F. Marzbanrad, Y. Kimura, K. Funamoto, et al., “Development of fetal cardiac intervals throughout 16 to 41 weeks of gestation,” In Computing in Cardiology (CinC), 2013. F. Marzbanrad, HF. Jelinek, E. Ng, et al., “The effect of automated preprocessing of RR interval tachogram on discrimination capability of Heart Rate Variability parameters,” In Computing in Cardiology Conference (CinC), 2013, pp. 483-486. IEEE, 2013. F. Marzbanrad, A. H. Khandoker, K. Funamoto, et al., “Automated Identification of fetal cardiac valve timings,” In Engineering in Medicine and Biology Society (EMBC), 35th Annual International Conference of the IEEE, pp. 3893-3896. IEEE, 2013. Q. Wang, A. H. Khandoker, F. Marzbanrad, et al., “Investigating the beat by beat phase synchronization between maternal and fetal heart rates,” In Engineering in Medicine and Biology Society (EMBC), 35th Annual International Conference of the IEEE, pp. 3821-3824. IEEE, 2013. F. Marzban rad, M.A. Masnadi-Shirazi, “A Novel and Fast Blind Source Separation Algorithm for Convolutive Environment,”. IEEE Industrial Electronics Conference, IECON 2010.